WillKemp.org » Blog Archive » Five Star reviews for willows in the west end! Five Star reviews for willows in the west end! 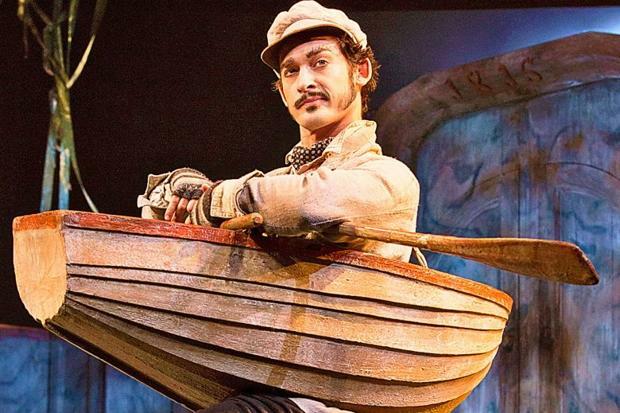 “Will Kemp brings the charisma of a Hollywood leading man to the master boatman Ratty” - The Times. Wind in the Willows has gained some great reviews (including three, 5 Star ratings & front page of New York Times!) and is proving to be a hot West End ticket. Congratulations to Will & everyone involved and we urge London theatre goers to book soon before it completely sells out! From all @ willkemp.org : WE WISH YOU A VERY MERRY CHRISTMAS! This entry was posted on Tuesday, December 24th, 2013 at 10:23 pm	and is filed under Press, Willows. You can follow any responses to this entry through the RSS 2.0 feed. Both comments and pings are currently closed.